Thank you so much for dedicating your lives and ministry to helping our children see our loving God as a Creator who can use them to display His glory. Thank you for the enjoyable art workshop ! The experience of attending your class is one that will stay with us for a lifetime. I will encourage any parents I meet to consider your books. 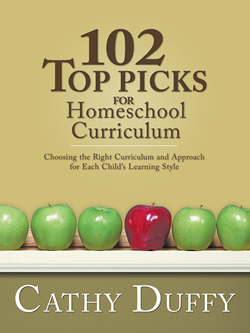 This DVD series is designed with the busy homeschool mom in mind. It also is helpful to those of us who feel ourselves "artistically challenged. "The art program is artistically sound & Biblically based. Mr. Stebbing is an inspiring and gifted art teacher. His class helped me realize the very high quality of the curriculum and his instruction. I can't wait to use the DVD. You made art fun... convinced me that with diligent practice & study of basic techniques that I,too could become an artist in my own right! Your curriculum created a calm, therapeutic balance in our school. This is so much more than mere inspiration. This is truly the beauty of forming a relationship (as educator Charlotte Mason would say) with both the artist and the art. You are teaching our children (and children across America) that art deserves attention. There are many facets to art that can be better appreciated. This is one of my 102 Top Picks!